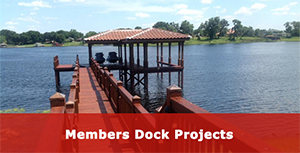 We are Florida State Certified Marine Contractors serving all of Central Florida for residential and commercial marine projects. 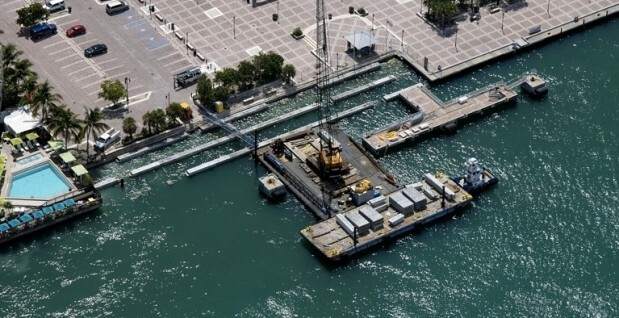 Unrivaled reputation as a leading provider of comprehensive commercial marine construction services. Our business approach is simple; help our clients achieve their goals, for the best value, on-time, while delivering the highest quality craftsmanship. 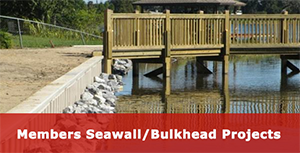 Fender Marine Construction designed and constructed this floating boardwalk with colored concrete, stamped to look like wood for Bonnet Creek Resort at Disney. 407-481-2750. October 4th & 5th, 2019. Click here for Reservations and additional information. “To support, promote, and educate the professional marine construction industry in the State of Florida”. FMCA’s positions on Manatee Protection: *If sound science supports it, so do we. * If sound science doesn’t support it neither do we. The Florida Marine Contractors Association is proud to announce the availability of three $500.00 scholarships to be awarded annually. Scholarships are open to graduating high school seniors or to students currently enrolled in a college or post-secondary trade or vocational school. Immediate family member (child, spouse) of an individual currently employed by a member or business in good standing of the Florida Marine Contractors Association. NOTE: The member/business under which the candidate qualifies must be listed as the candidate’s sponsor. Candidate must display and provide confirmation of good work ethics, school attendance, civic and extra curricular activities, and leadership skills. * Candidate must provide a minimum 500 word essay detailing their educational plans and future occupational goals. * All eligibility questions should be addressed to the FMCA Regional Directors or Board of Directors.